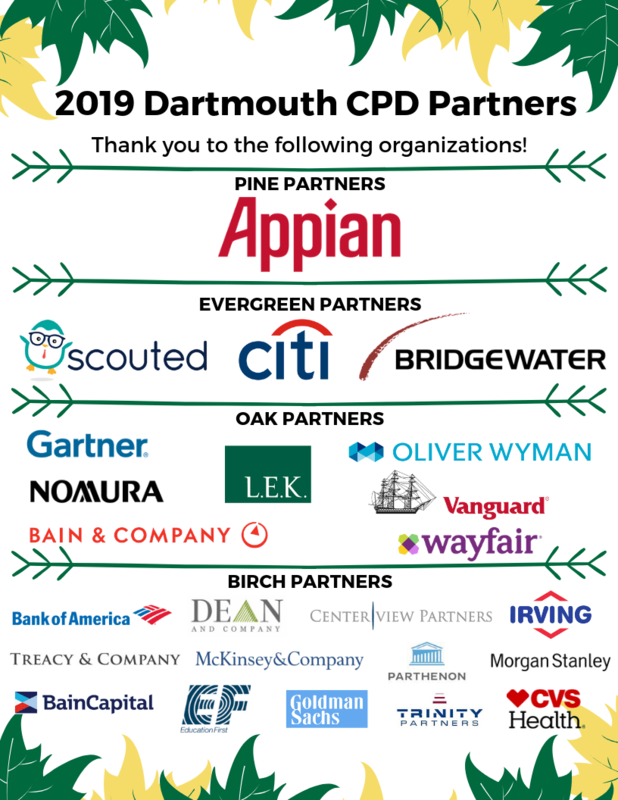 The Center for Professional Development (CPD) facilitates and supports the professional development of Dartmouth undergraduates and young alumni. We define post-graduate success outcomes as employment, fellowships, graduate school or service opportunities. To achieve these goals, we work collaboratively with an ecosystem that includes employers, parents, alumni, faculty and staff – all of whom contribute to the success of individuals we serve. We provide a host of services to Dartmouth students and young alumni, including individual advising and facilitating access to opportunities, events and resources that build skills and knowledge of career fields. To achieve our goals, we partner with colleagues, alumni, parents and employers and collaborate with one another. Whether you are a student, employer or part of our wider community, we encourage you to stop by our office, meet our team and learn more.